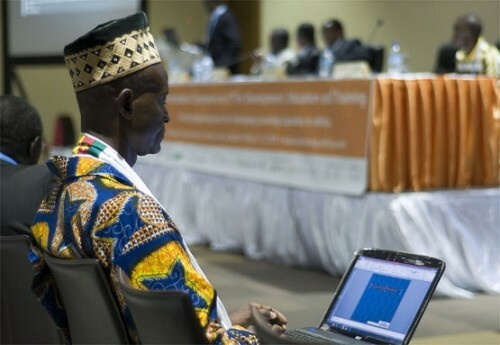 Le Forum National sur la Gouvernance de l’Internet, organisé par l’Agence Nationale des Technologies de l’Information et de la Communication (ANTIC) a eu lieu Mardi dernier 27 août 2013 au Palais des Congrès de Yaoundé sous le patronage du Ministre des Postes et Télécommunications. La première édition du Forum National sur la Gouvernance de l’Internet au Cameroun (IGF.CM) était sous le thème: « Internet, levier de développement économique et social ». Comme si vous y étiez, retour sur les différents exposés tenus ces jours ici! Quel est le Paysage TIC au Cameroun? Quel Gouvernance de l’Internet et Participation au Cameroun? Enjeux de la Cybersécurité et lutte contre la Cybercriminalité ? ← Welcome to Global Entrepreneurship Week! « Literchoor Is My Beat » is something of an authorized biography â€” Laughlin’s literary executors selected Ian S. MacNiven, author of a Lawrence Durrell biography, to write it. Nonetheless, MacNiven delivers a smart, fair-minded, thoughtful and entertaining book about this striking man of letters. gucci outlet online STARFISH:ï¿½Five percentï¿½percent of people sleep on their backs with their arms over their heads. Guests will be able to observe and participate in a one-barrel brew of Belgium Tripel. louboutin 3 Donâ€™t threaten. Threats of harming another person will not be tolerated. 11/07/2014 07:43:24 AM PST coach Walking past semi-frozen fjords, where pancake ice floats in the viscous water and wisps of swirling vapour rise into the air, we climb the slippery path to the stairs. Firebird wrestlers registered five pins and one technical fall en route to their easy win over the Titans. michael kors bags â€œI love the outdoors, and I need to make sure they develop the same passion,â€ Shelton said. Council member Mike Kehoe said he felt positively about the new charter especially the addition of the town administrator. coach outlet â– Halloween and Harvest Market. Oct. 11-13.
b Behind two rushing touchdowns and one passing touchdown, Prescott led the Bulldogs to a 38-23 nationally-televised victory against the Tigers on CBS Sports. The junior threw for 246 yards and rushed for 121, recording his FBS-leading fourth game this season with more than 200 yards of passing and 100 yards rushing. The signal caller is the only quarterback to achieve such a feat against Auburn in the last 40 years, doing so in both 2013 and this past Saturday. louis vuitton Reigning WCC Player of the Year Tyler Haws scored all 14 of his points in the first half before playing sparingly in the second half. Chase Fischer also had 14, and Kyle Collinsworth had eight points, 15 rebounds and six assists.